Family Day is almost here! Regardless of when your province celebrates it, this mid-winter holiday offers families the chance to spend a little bit of extra time together. 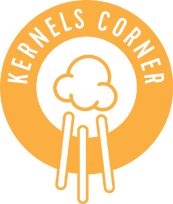 Here at Kernels, we know how important it is to devote some attention to our loved ones, so we have some ideas to help you make the most of your fun family weekend! The lights are up and the carols are playing - it’s officially the holiday season! Whether you’re coming in from a fun afternoon of sledding, or need a relaxing way to unwind after a day of shopping we’ve got you covered with a few fun activities to enjoy with your family this holiday season!